LAVERKIN — A tourist riding with a motorcycle group from Belgium on state Route 9 crashed his bike and was flown to the hospital in critical condition Thursday. Shortly after 12:30 p.m. an officer from a neighboring agency was heading south on SR-9 near mile marker 13 when he came upon the crash, according to a statement released by LaVerkin Police Sgt. Amber Crouse shortly after 4 p.m. Witnesses at the scene said the 75-year-old man failed to negotiate his motorcycle around a curve in the road and went off onto the shoulder, Crouse said. Once the bike hit the soft shoulder of the roadway the rider lost control and crashed. Numerous responders arrived on scene. 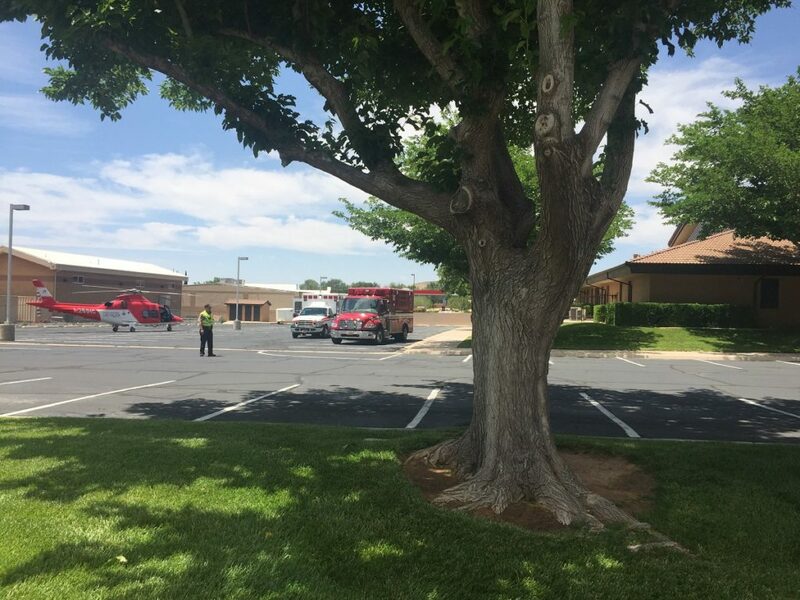 Intermountain Life Flight was also dispatched to the area, landing at The Church of Jesus Christ of Latter-day Saints’ Stake Center located at 481 N Main Street in LaVerkin. 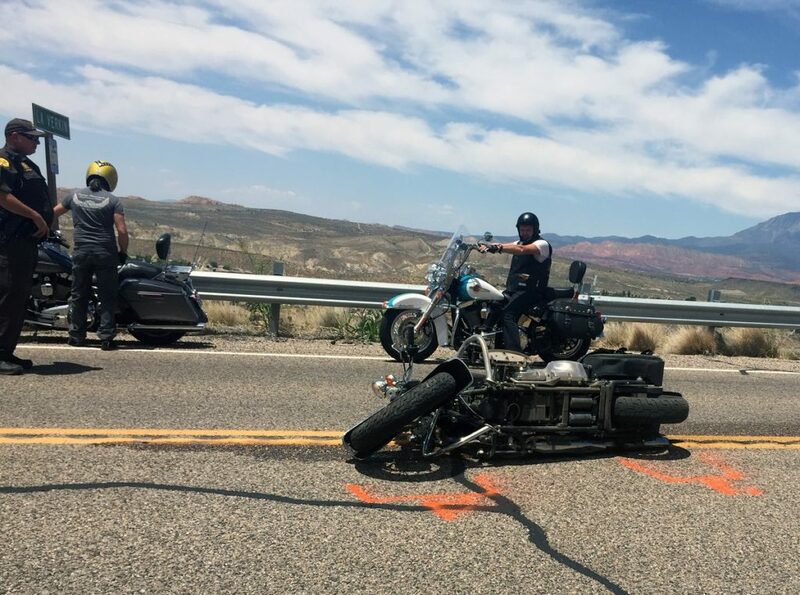 The injured rider was then flown to Dixie Regional Medical Center in St. George in critical condition. The crash remains under investigation at this time. 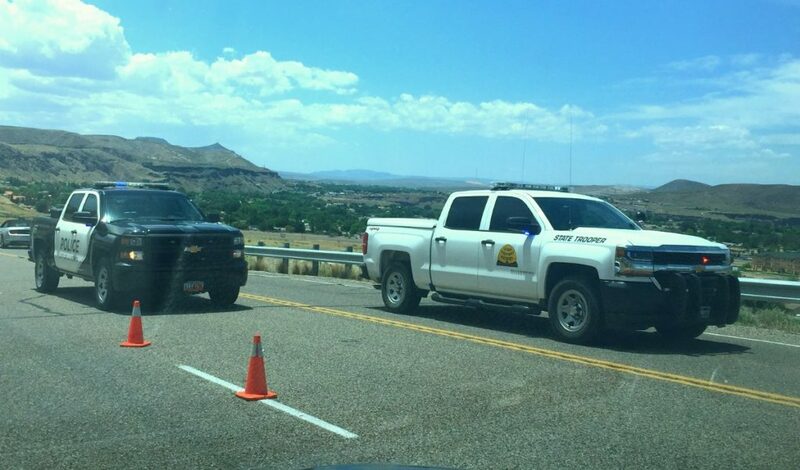 The Washington City Police Department, Hurricane Police Department, LaVerkin Police Department, Springdale Police Department, Utah Highway Patrol, Washington County Sheriff’s Office, Hurricane Valley Fire and Rescue and Intermountain Life Flight responded. The rider remains in critical condition at the writing of this report. As a senior citizen, who rides a motorcycle, I have to wonder if this guy was checked out prior to renting him the full-sized bike, if he was from Belgium. For example, the Harley rental business is very profitable, but we would expect that the rental agencies would do more than simply verify that their clients have a valid motorcycle license. This is the most common incident reported in these pages, suggesting that many of these riders should consider a lighter bike, or retiring……..